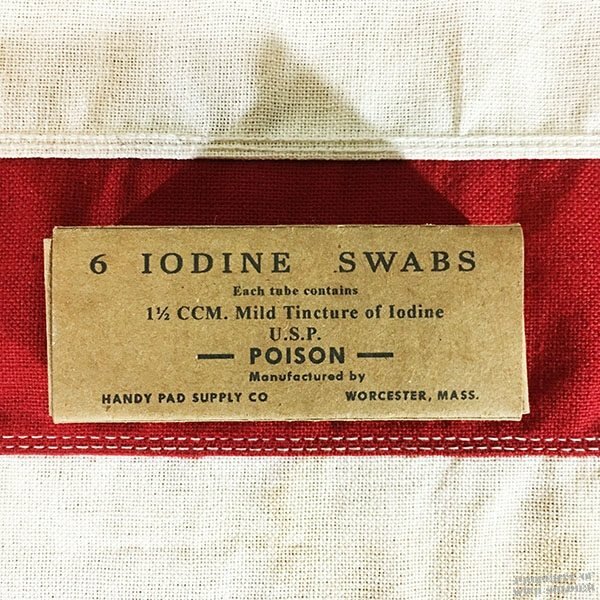 Our WWII Iodine Swab Box is a reproduction and is empty. These Iodine swab boxes were part of several of the medical first aid kits. Each box held six disposable, single use iodine swabs, which could be used on cuts and surface wounds. These boxes are EMPTY. However, disposable Iodine swabs are still used in first aid kits today and are available for purchase at various online drugstores.